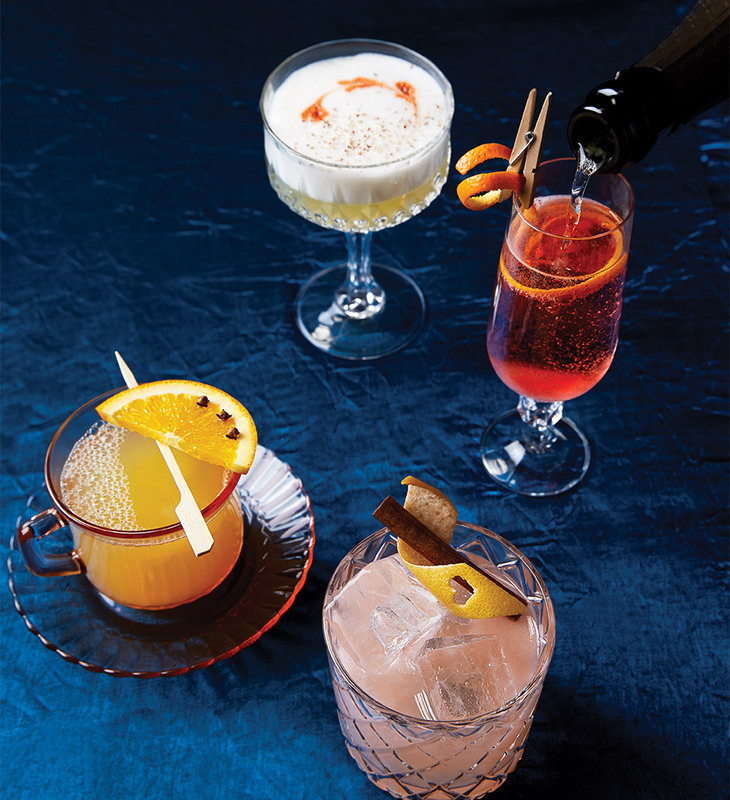 Signature cocktails are as ubiquitous as photo booths and edible favors at today’s wedding receptions, having transcended their trendy beginnings to become modern classics. To take your cocktails beyond the tired [your name here] ’tini, Kate Bolton of Mint & Mirth, an award-winning cocktail caterer in the Portland metro area, recommends using Oregon-made ingredients to make cocktails inspired by your celebration’s setting. She created these four locally sourced signature drinks for cool-weather sipping exclusively for Oregon Bride. Combine and shake all ingredients. Pour over ice in a rocks glass. Garnish with a grapefruit twist and grated cinnamon. Simmer 4 chipotle peppers in 1 quart of simple syrup for 10 minutes. Cool and strain. Shake the lemon juice and egg white to froth. Add the remaining ingredients and shake with ice. Strain and garnish with grated nutmeg. Toast 1 teaspoon each whole clove and allspice with 2 cinnamon sticks. In a pan, simmer 2 cups sugar, 2 cups water and 5 ounces roasted chestnuts for 10 minutes. Cool and strain. Soak a sugar cube in bitters at the bottom of a Champagne flute. Fill glass with vodka and Champagne and garnish with an orange twist. Pour hot tea over all other ingredients in a glass mug. Garnish with an orange wheel. Signature cocktails may seem like a minor wedding detail, but they can really set the tone for an evening. There are those who love brunch, and then there are those who love brunch so much they choose to host a brunch wedding.